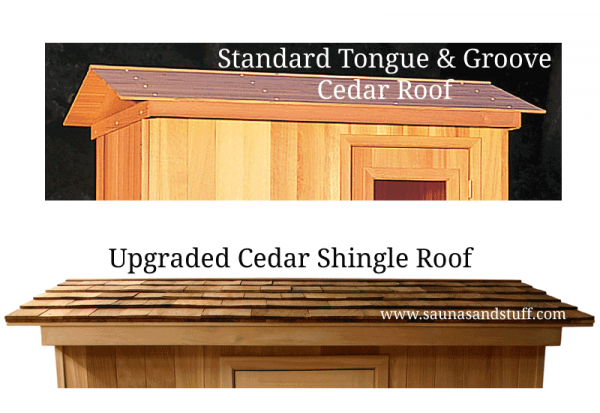 - Grade A and better clear select Western Red Cedar for its natural resistance to decay. - Blind fastening for all floor grids. 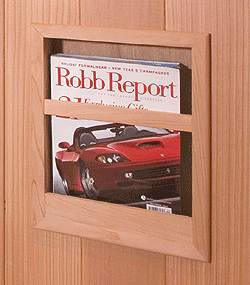 Door is pre-mounted in a wall panel and comes complete with a spring hinge and wooden door handles. 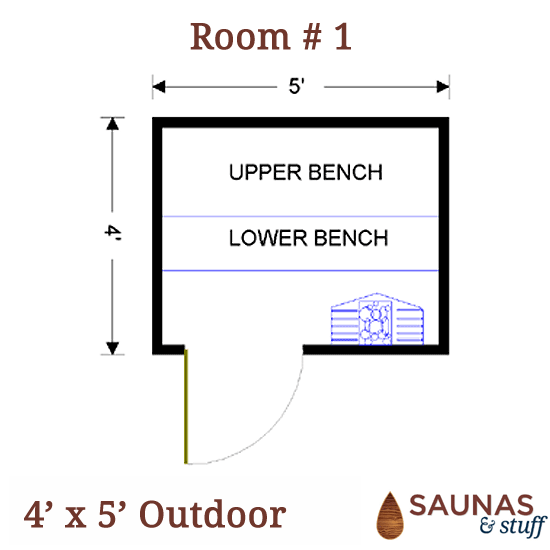 There is a step-over below the door to keep the elements out of your sauna, so the door opening is about 6' 5" high. 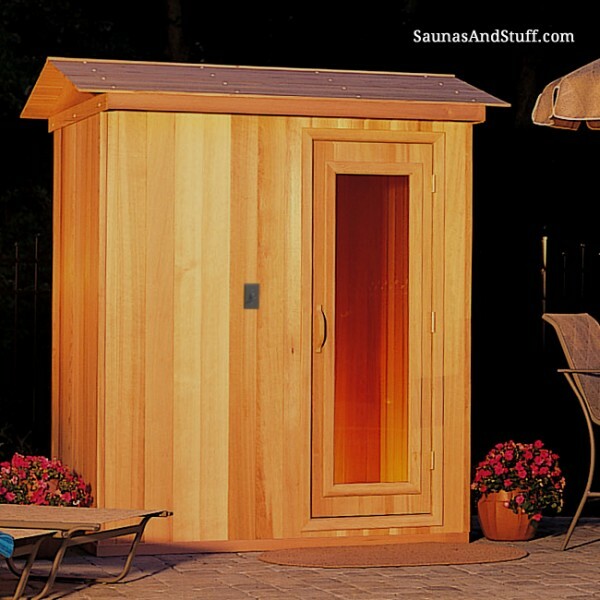 Fir door with Clear 16" x 60" Rectangle Thermopane glass. 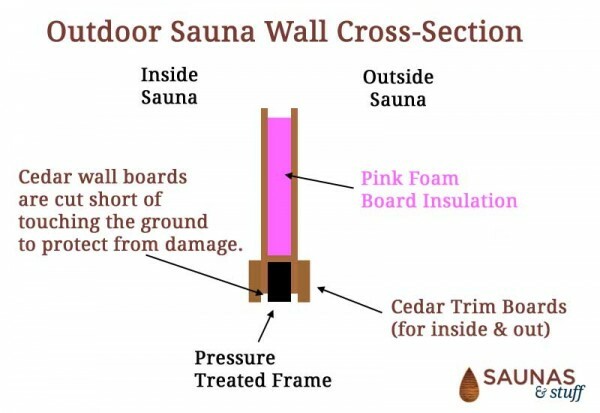 Cedar door with Clear 16" x 60" Thermopane glass. 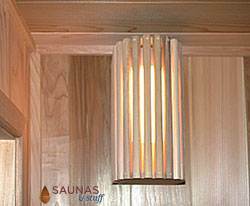 In colder climates, we recommend selecting a higher kilowatt heater to improve heat up times. 240v, 4.7kW 30 amp breaker. Controls on Heater. 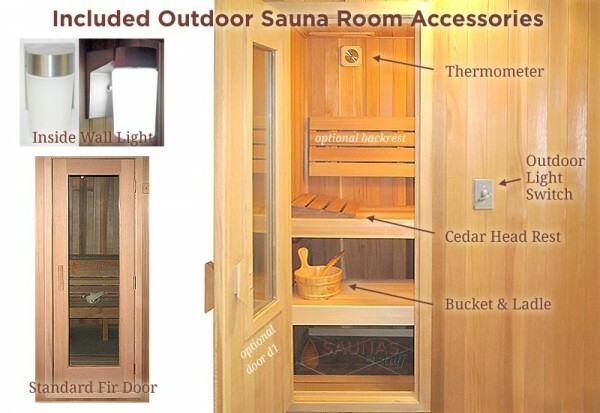 For saunas up to 210 cubic feet. 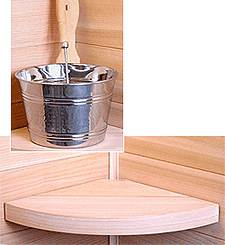 Offers extra steam option with a 5 litre tank, fragrance cup, and an expandable stone space. 240v, 6.8kW 30 amp breaker. Inside Digital Controls. 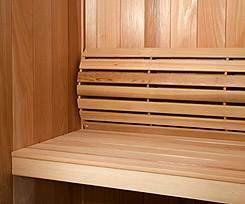 For saunas up to 350 cubic feet. 240v, 9kW, 50 amp breaker. 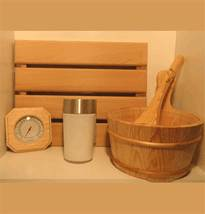 Controls on Heater. 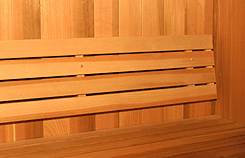 For saunas from 280 to 490 cubic feet. 240v, 10.5kW, 60 amp breaker. Controls on Heater. 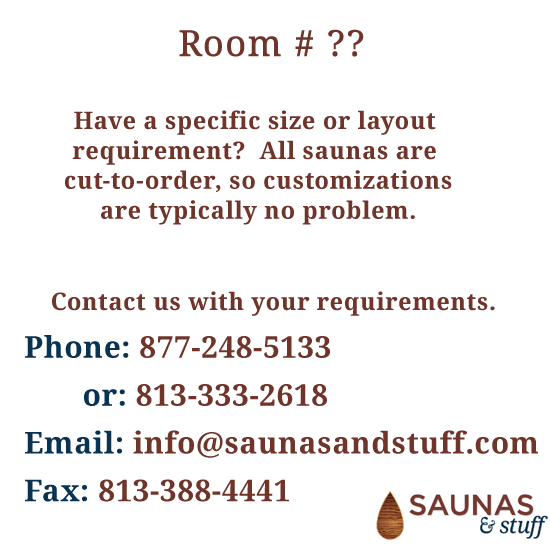 For saunas from 315 - 635 cubic feet. 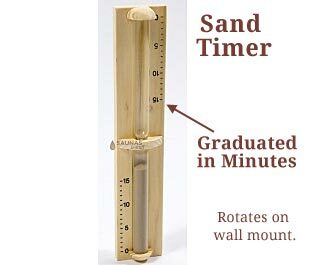 Click on question to see answer. 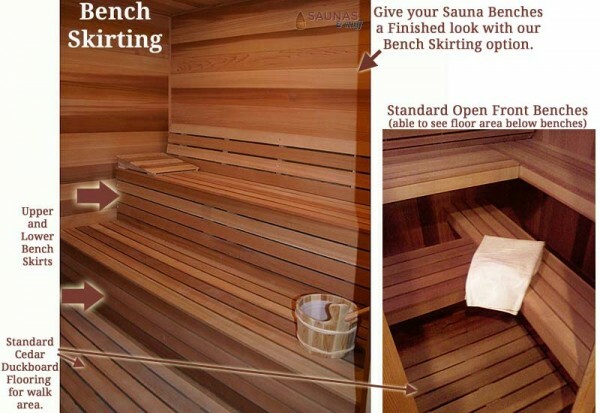 What is the highest temperature that this sauna can acheive and is this also a wet sauna? 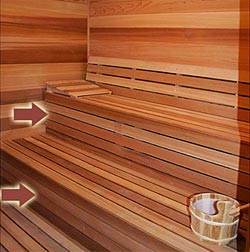 Hello Jeff and thank you for your inquiry. 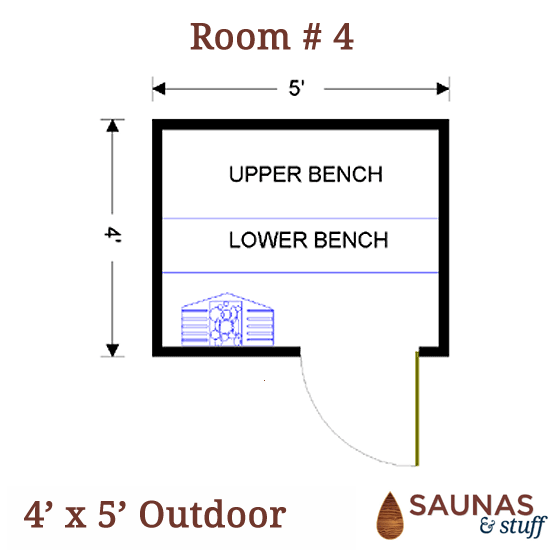 All of the traditional saunas (heater with rocks) get to about the same temperature, which about 200 degrees F at the ceiling. 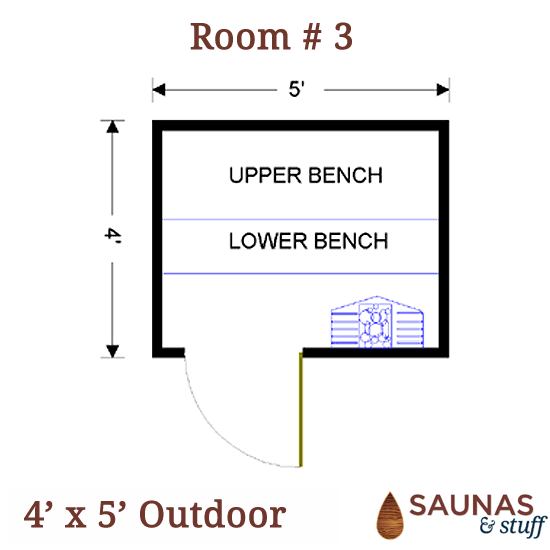 Sauna heaters are ?capped? 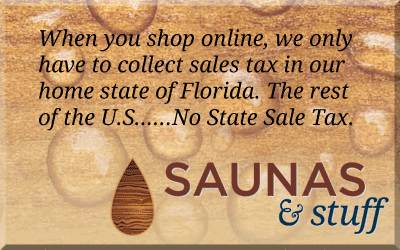 in North America. You can always pour water on the rocks to raise the humidity level (steam). 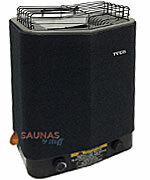 If you want even higher humidity, the Tylo COMBI heaters have a small built-in steam generator as well as the rocks. 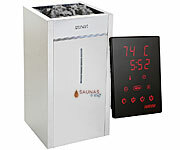 The Combi heaters can get the humidity level about twice as high as pouring water on the rocks. 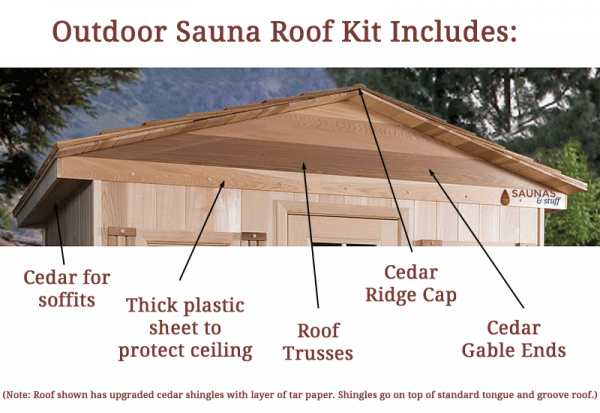 Interior and Exterior walls are cedar. 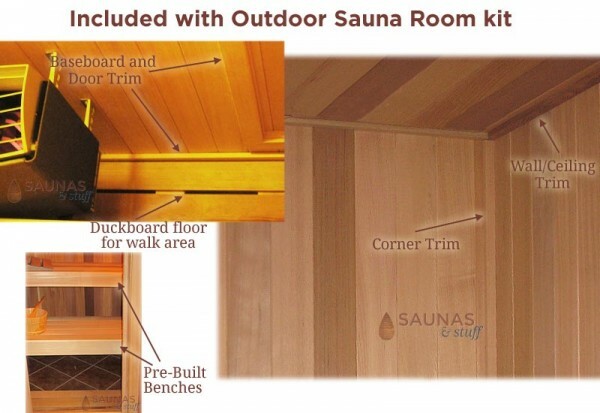 Pre-Built Outdoor Sauna Kits for quick and easy assembly. 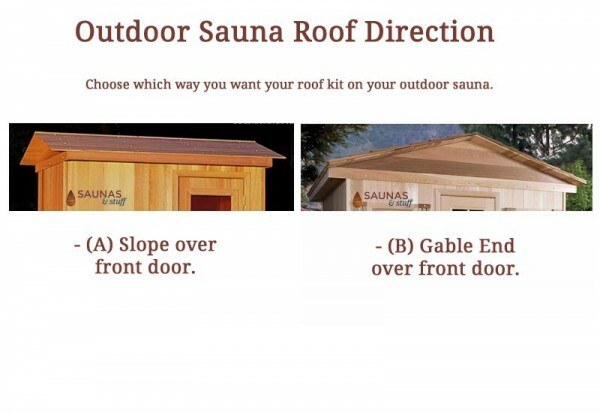 Portable Outdoor Home Saunas.